The Thunderworks range of products has helped many thousands of dogs around the world who suffer from anxiety. 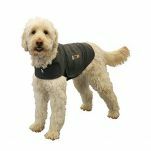 Thundershirts, Thunderleads and Thundercaps are being rapidly embraced by professionals; thousands of veterinarians and dog trainers are now recommending these products for their anxiety cases. 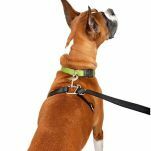 Whether it's anxiety from storms or other weather related issues, separation anxiety, or social anxiety, dogs of all breeds and sizes have benefited from these great solutions.